Endings are difficult. It’s one thing to craft a satisfying ending for a single movie. Capping off a whole set of movies with a show-stopping conclusion – especially a series audiences have watched for a decade – is something else entirely. For Harry Potter, the ending was an even bigger challenge. Harry Potter and the Deathly Hallows is a mammoth novel; there was no way to cram all the important parts into a single film. Producer David Heyman and director David Yates came up with a good solution. They split the final book into two movies. That choice seemed like a cash grab at first. With two movies, Warner Bros. could extend a major franchise. 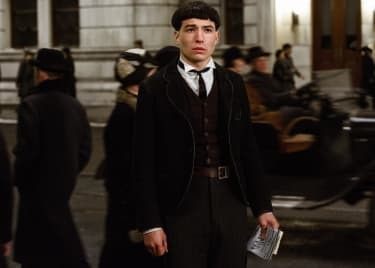 Yet the split also allowed the films to breathe, and for Yates to explore multiple story avenues that would have been closed off to a single film. Here’s how the Harry Potter series stuck the landing, and how that turned the movies into perennial favorites. Harry Potter and the Deathly Hallows — Parts 1 & 2 have a lot to tackle. There are major character developments and strange goodbyes. Major characters die, and we finally learn the truth about Professor Snape. That’s all amid an extended journey that takes our heroes far from Hogwarts before setting up a massive battle that takes up much of the second movie. Despite all those ideas and story points, the two movies are paced exceptionally well. They have room for scenes that are surprising even in the context of a series in which characters fight mythological beasts. The Deathly Hallows – Part 1 is unusual by any franchise standard. 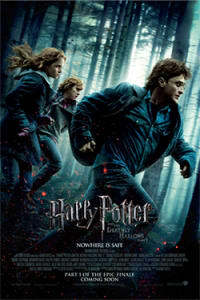 Director David Yates described it as a “road movie,” as it sends Harry, Ron, and Hermione off to the far corners of the magical world. The primary plot sees Harry, Hermione, and Ron seeking to destroy Voldemort’s Horcruxes, which allow his essence to exist after death. Like The Prisoner of Azkaban, much of the movie is shot on real locations rather than sets. The heroes are seen in grey, desolate spaces, to emphasize their isolation and growing desperation. 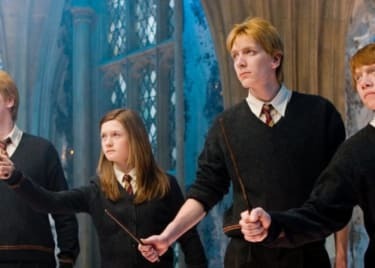 There are big effects-based sequences, but Harry, Ron, and Hermione also spend significant time on their own, allowing us to see them as actual people more than ever before. And when Yates has to throw a lot of information at the audience — as in the explanation of the Deathly Hallows, which give a possessor power over death — he does so through a gorgeous animated sequence that reinforces the series’s sense of magic. Part 1 goes even further than realistic and political films like Prisoner of Azkaban and The Half-Blood Prince. It creates a sense of overwhelming despair. For the first time, Harry’s success does not seem like a foregone conclusion. As Voldemort’s power and forces grow, so does the sense that our heroes will lose. That sense is maintained in the second film. The climactic battle at Hogwarts, and the duel between Harry and Voldemort is grim and dirty — but not without hope. All the dark elements in both Deathly Hallows films tell us about Harry’s mindset. The films don’t celebrate that grim sensibility; it’s just a tool to help audiences feel what the characters experience. Conventional wisdom says the last ten minutes of a movie are more important than anything else. That’s what the audience remembers. “What an ending!” is the greatest word of mouth a movie can get. When you’re talking about eight movies released in a ten-year span, the last ten minutes aren’t enough. But The Deathly Hallows — Parts 1 & 2 give us everything we want out of the Harry Potter series. As the last film ends, we know all we need to about the relationship between Snape and Harry’s parents; we’ve seen Hermione and Ron grow close, even as Harry comes to terms with his power, and fosters love with Ginny Weasley. The defeat of Voldemort and the Death Eaters has a tremendous cost. The final duel between Harry and his lifelong enemy builds on their strange shared history, and on Harry’s actions in previous movies. It’s not just a quick last battle to wrap up the plot; the duel is intrinsically tied to the entire series. The code that gives us a look at our heroes’ lives many years later is the final demonstration of hope in a series that proved, over and over again, that faith and hope and confidence allow us to overcome our struggles.